Kuwait National Petroleum Company (KNPC) is developing a new multibillion grass root refinery in the Al-Zour area, 90km south of Kuwait City. Known as the Al-Zour Refinery project (ZOR), it will primarily supply 225,000 barrels a day of low-sulphur fuel oil (LSFO) to local power plants. It will also produce jet fuel, kerosene and naphtha feedstock for petrochemical plants. The ZOR project and the Clean Fuels project (CPF) are the two biggest projects being implemented as part of KNPC’s 2030 strategy. The new refinery will account for 43% of the country’s refining capacity, and will be the largest in the Middle East. It will also be one of the largest refineries in the world, when it comes online in 2018. The Supreme Petroleum Council (SPC) approved the project in February 2012 and the approval from the Kuwait-Environment Public Authority (K-EPA) has also been granted. Site preparation works started in 2015. The new refinery is designed to process 615,000 barrels a day of Kuwait export crude (KEC), or 535,000 barrels a day of mixed heavy crudes. Overall investment for the project is estimated to reach KD6.7bn ($23bn). The project will enable the refinery to increase crude oil refining capacity to five million tonnes a year and achieve an output that conforms to Euro-5 standards. Main facilities at the refinery include three atmospheric residue desulphurisation (ARDS) units featuring two trains each, three crude distillation units (CDU), three diesel hydrotreating units (DHTU), two naphtha hydrotreating units (NHTU) and two kero hydrotreating units (KHTU). Other facilities include two saturated gas processing plants, a heavy oil cooling (HOC) unit, a hydrogen recovery (HR) unit, a hydrogen compression (HC) unit and four trains of hydrogen production units (HPU). The project further includes the installation of a sour water stripper (SWS) unit comprised three trains, three amine regeneration (AR) plants, three sulphur recovery units (SRU) and tail gas treating units (TGTU). Other installations include a hydrocarbon flare system, four sulphur pelletising systems integrating two circular storage tanks and sulphur conveying systems, two acid gas flares, and four sulphur storage tanks. Associated project activities will include the installation of a sulphur pelletising system, a steam generating unit, air systems, water treatment systems, a cooling water unit and high voltage (HV) substations to receive power from the Al-Zour South Power Station (AZPS). Project activities also involve feedstock and product supply pipelines, and construction of various channels, a basin for a future jetty, a barge dock, and roads. "The Al-Zour Refinery project (ZOR) will primarily supply 225,000 barrels a day of low-sulphur fuel oil (LSFO) to local power plants. " 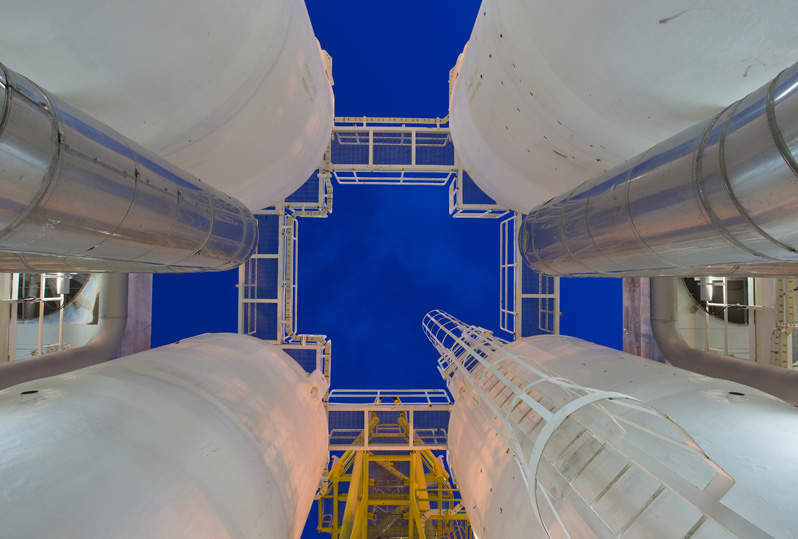 The technology licensor for the CDUs, AR plants, HR, HC and SWS units is Flour, while Chevron Lummus Global will license technology for the ARDS units. Technologies for the DHTUs, SRU and TGTU will be licensed by Shell Global Solutions. The technology licensor for the NHTUs, HPUs and KHTUs is Haldor Topsoe. Amec was awarded the £330m ($528m) project management consultancy (PMC) contract for the refinery. Honeywell will provide its proprietary Experion PKS integrated control and safety system (ICSS) to serve as the main control system. Van Oord was awarded a contract in March 2014 to carry out dredging works at the project site. Up to 65 million cubic metres of sand is expected to be dredged. Comprising Fluor, Daewoo Engineering and Construction, and Hyundai Heavy Industries, the FDH JV secured two engineering, procurement and construction (EPC) contracts in October 2015. 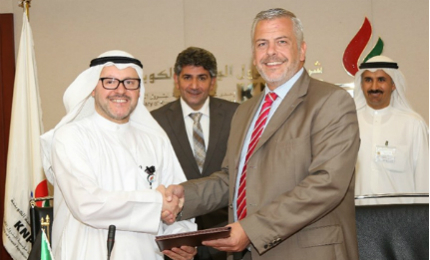 The contract involves the development of key process units, utilities and infrastructure for the refinery project. A joint venture consisting of Essar Projects and Saipem received a $1.57bn EPC contract to set up tank farms under Package 4 for the Al-Zour Refinery. Técnicas Reunidas is responsible for engineering, supply, construction and commissioning of the processing units. With more than 95 locations in the US and Canada, and a growing system of distributors worldwide, Safway Group companies deliver efficient, high-performance multiservice solutions, THE SMART WAY™, by collaborating, communicating and sharing resources.